Andi Holliday’s eye for style helps lead to quick deals for her clients. 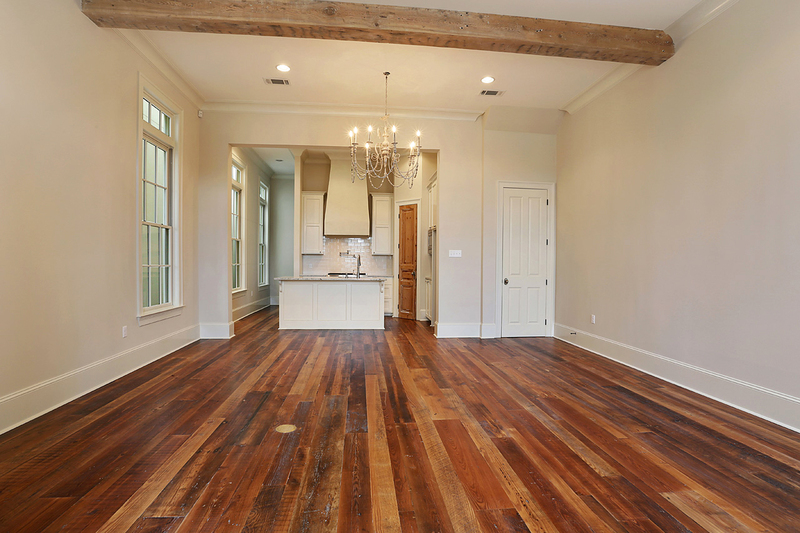 Here she sits inside a new home she staged for Realtor Ashley Woods in Lexington Estates. Professional home stager Andi Holliday knows that no matter the listing price, each home should feel like a million bucks. Her company, Stage Presence, offers a range of services, from full staging to less expensive walk-through and written consultations, as well as “redesign” services, wherein she will use the client’s existing furniture and décor to showcase a room’s focal points. 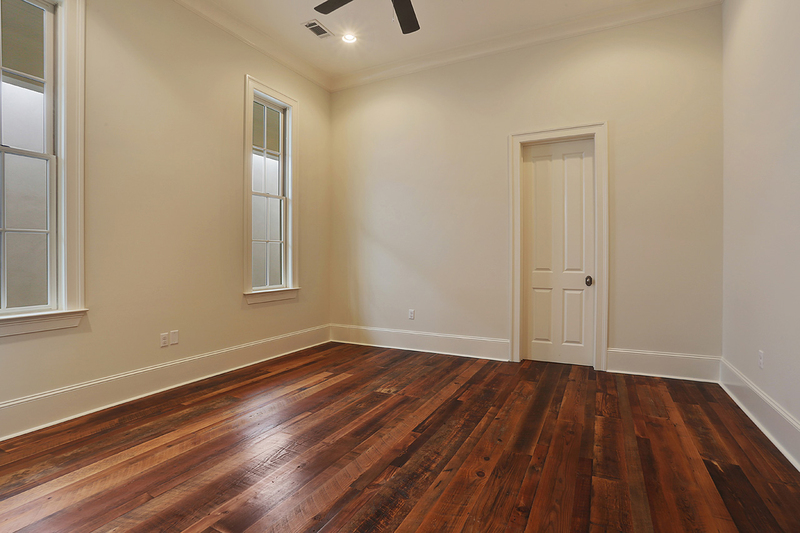 While prices start at $2,500 per month for staging, any Realtor can vouch that’s just a fraction of what a price reduction will cost the seller in the long run. And with Holliday’s track record, it shouldn’t take nearly that long to get the place sold. 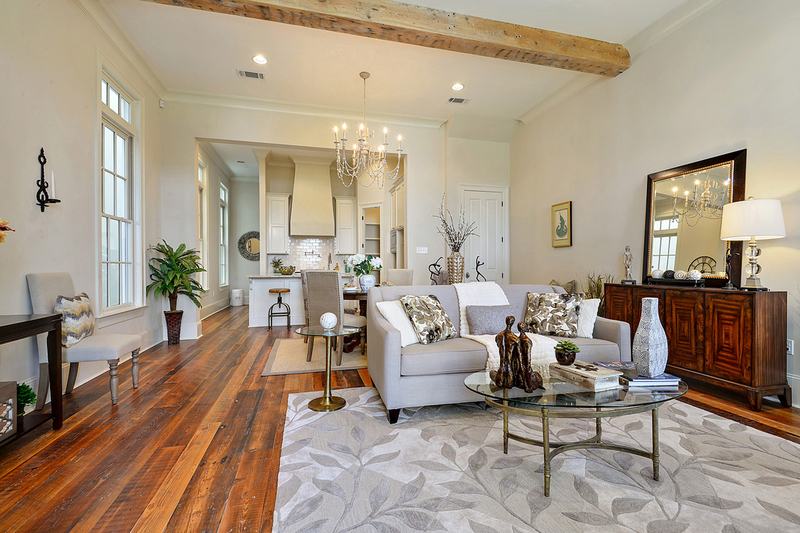 For this home in the Perkins Lane development, Holliday let features like old beams and heart-pine floors shine by keeping her palette toned down but textural. Once, Holliday was staging a home during an open house. By that night, it was under contract. She’s got plenty of stories like this, but the best is the $1.5-million home in California. The home had been on and off the market for years. Holliday flew out to San Francisco, took her measurements, and came up with a plan to stage every square inch of the home—including three decks, bedrooms, the kitchen and three patios. She won the proposal, and when the home went back on the market, it sold within the second week. “Because staging is so successful, I’ve had to amend the contract to read, ‘Please be prepared to live somewhere else should the home sell quickly,’” she says. “Most of our homes sell between one day and five weeks. The homes that staging cannot fix are overpriced, or have kitchens or master baths dated beyond what the buyer is looking for,” she explains. Holliday ferociously keeps up with the latest design trends, making multiple trips every year to San Francisco’s Design District, “to shops so high-end that they don’t even look up at you,” she says. While there, she also visits open houses at luxury homes. She goes through, takes notes, and then figures out how she can do it less expensively. 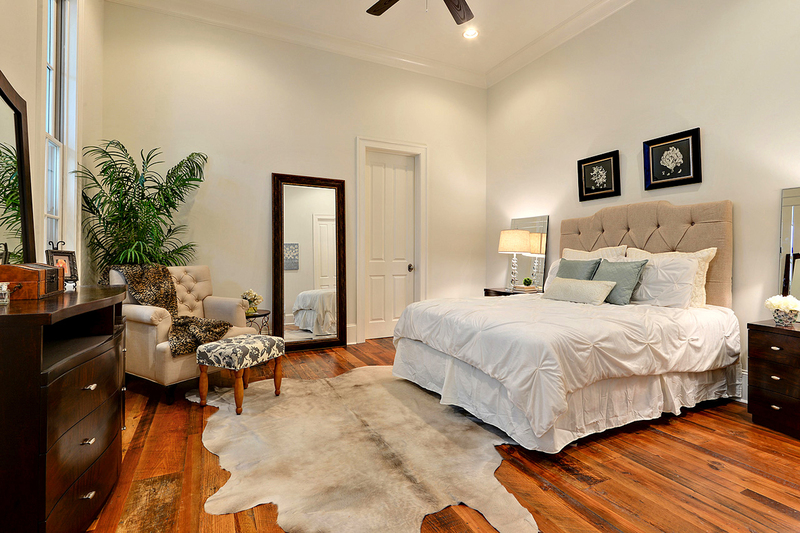 Holliday took this bedroom from blank slate to beautiful with the addition of neutral solid-hued bedding and furniture and pops of print in accent pieces. Right now, it’s all linen upholstery and light colors, nail-studded furniture and abstract art. “Who doesn’t want a gorgeous, white clean linen [sofa] with faux fur throws, cowhide and a cool desk?” she asks. “I offer the same concept for all price ranges of homes,” Holliday says, from a $100,000 condo to a million-dollar home. The inventory is high-end, “what everyone loves but not what everyone has,” she says. It’s not a one-size-fits-all operation, either—she owns all of her furniture and décor and will buy pieces to fit the project she’s working on. She currently has enough to furnish six homes, and she has been fortunate enough to never have to pay for storage. Holliday got her start on a whim five years ago, shortly after receiving the news that her husband heard a rumor he was going to get laid off. She was driving home and saw a man putting a sign up in the yard that read “$60,000 BELOW APPRAISAL!” “No one in White Oak should have to lose $60,000,” she thought. She called him and said, “I don’t have a name or even a business card. If I do help you sell it, all I ask is that you write something nice to me—on the website I don’t even have yet!” It turns out the man had survived a massive heart attack from the stress of trying to sell his home. He hired her, and the home sold within the month. That seller wrote the first of many glowing reviews on the Stage Presence site. Find out more at stagepresence4u.com.